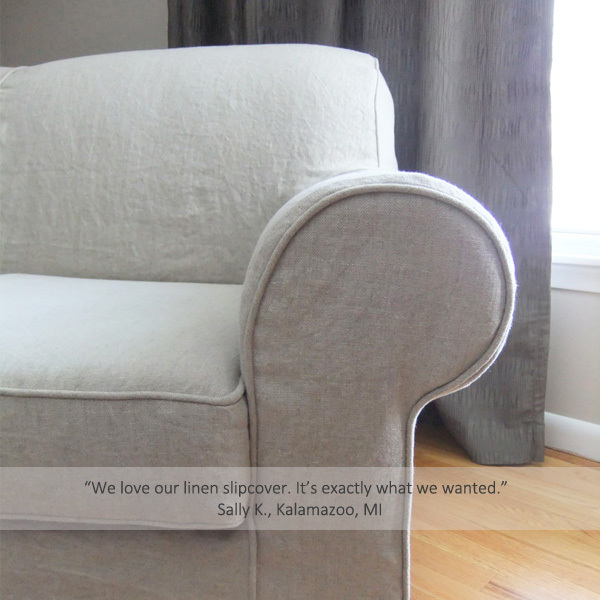 Published February 17, 2015 at 600 × 600 in sallys linen sofa slipcover. Please share the type of fabric this is and the source. I wish you were closer to me. Your work is BEAUTIFUL!!! Thanks Lisa! The linen is from Gray Line Linen, color Oatmeal. http://www.mcssl.com/store/gray-lines-linen-inc/draperyupholstery-linen/home-furnishing-linen. Read my review of this fabric on my FABRICS page https://slipcovermaker.com/fabrics/. Is this the Harborside by Crate and Barrel? No, it’s a Sherrill sofa.